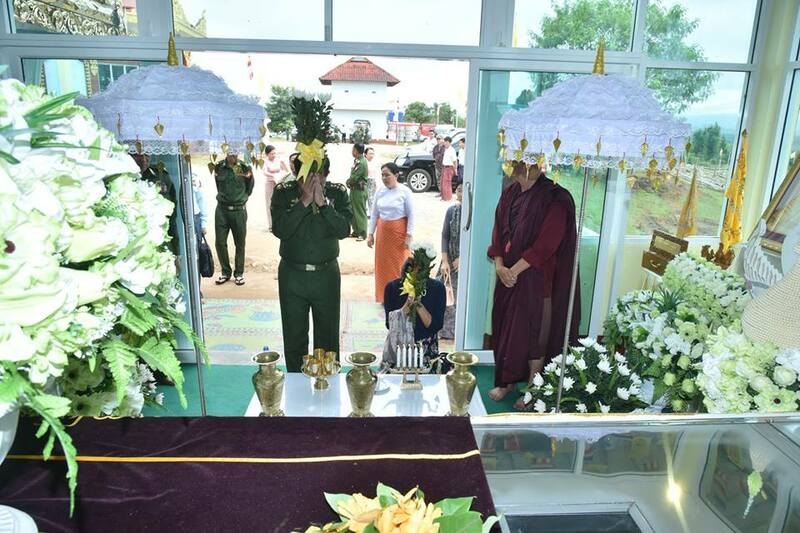 Commander-in-Chief of Defence Services Senior General Min Aung Hlaing, accompanied by his wife Daw Kyu Kyu Hla, Commander-in-Chief (Air) General Khin Aung Myint, senior military officers from the Office of the Commander-in-Chief (Army) and Triangle Region Command Commander Maj-Gen Aung Zaw Aye, paid homage this morning to the remains of Kengtung Dhammawdaya Pariyatti Sarthintaik Presiding Nayaka Sayadaw Abhidhaja Maha Rattha Guru Agga Maha Pandita Agga Maha Saddhamma Jotikadhaja Bhaddanta Ajeya, who passed away on 11 July 2017, at the temporary monastery on Phaya Koesu hillock in Kengtung where the final rites of the Sayadaw will take place. The Senior General inspected the arrangements for the final rites and was conducted there round by the commander. 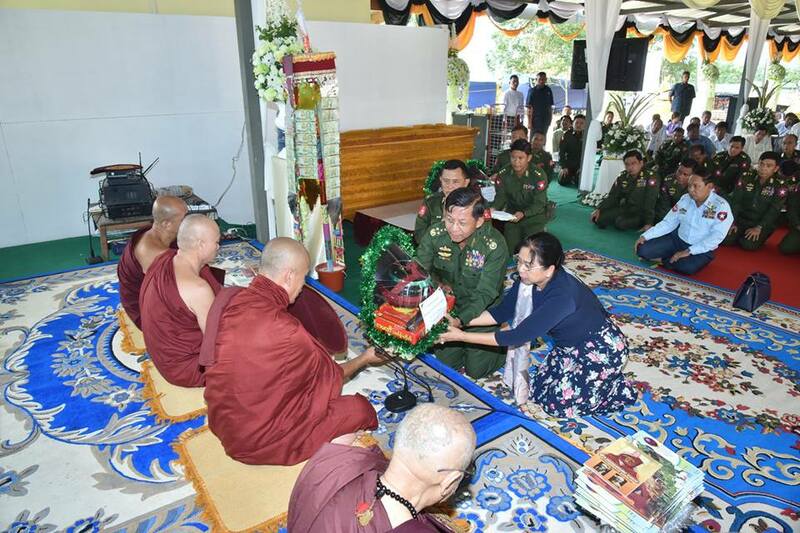 The Senior General gave instructions on holding of the final rites in line with the traditions and customs and providing of healthcare for the disciples and guests coming to the funeral rites and enough clean drinking water and restrooms. 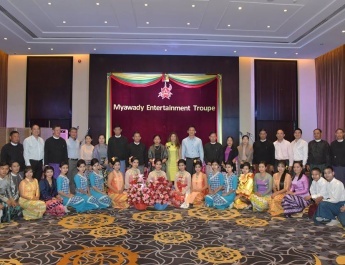 Next, the Senior General and party received the Five Precepts from Tuya Monastery Sayadaw Maha Ganthavacaka Pandita Bhaddanta Pannasami, and presented alms to members of the Sangha. Then, collective cash donations were made for the final rites sharing merits gained. Afterwards, the Senior General, his wife and party signed the visitors’ book. 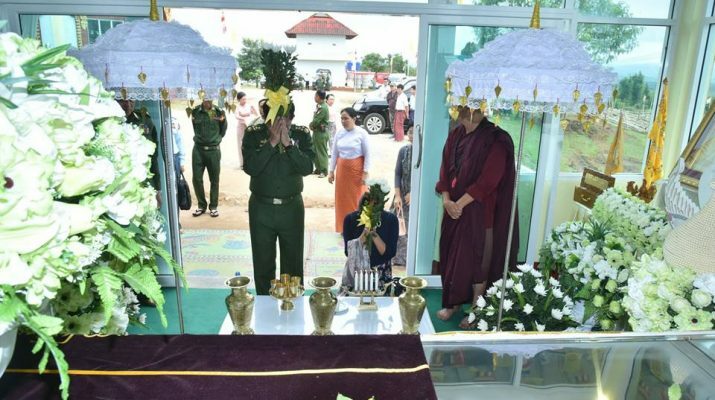 The funeral service of Presiding Patron Sayadaw of Dhammawdaya Pariyatti Monastery Abhidhaja Maha Rattha Guru Agga Maha Pandita Agga Maha Saddhamma Jotikadhaja Bhaddanta Ajeya (Aged 91 and 71 Vasa) will be held till October 15. 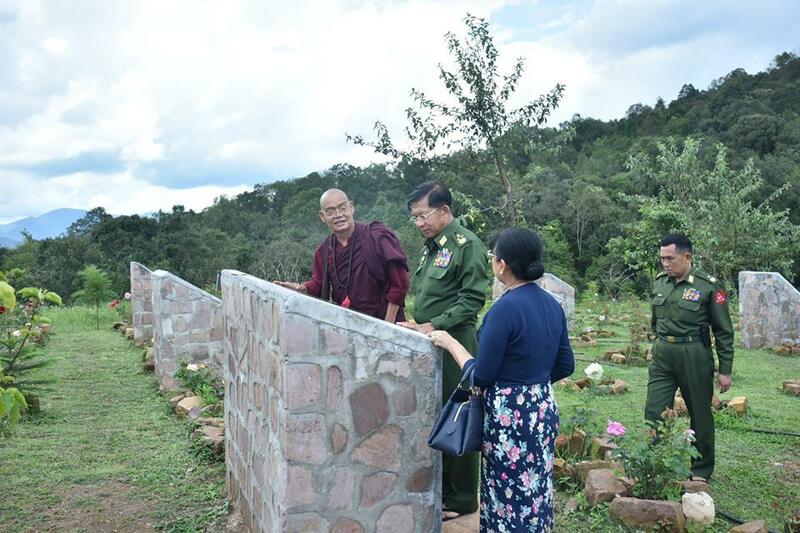 The Senior General and party inspected the construction of Abhaya Mudra Buddha Image near Pankwe village in Kengtung Township and heard the report presented by the Commander on the construction works and work completion. After that, the Senior General and party looked round the pagoda platform and the Buddha image. The construction of Abhaya Mudra Buddha Image started on 6 October , 2016. The platform is 150 feet by 180 feet and the altar, 45 ft by 63 ft and height of the image is 72 feet. It is being decorated with 32 signs of the Buddha. 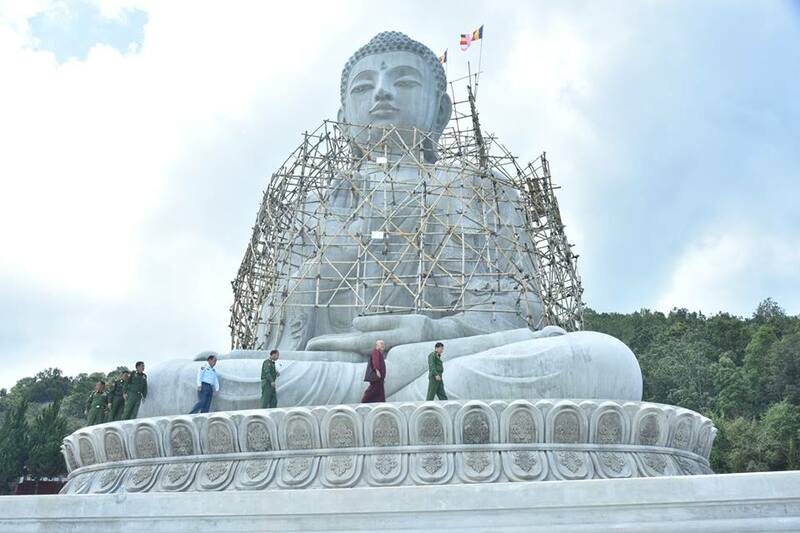 The construction of the Buddha image has been completed by about 70 percent. 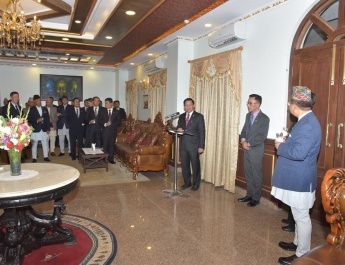 Afterwards, the Senior General and party looked round the Buddha Park near the Abhaya Mudra Buddha Image and heard the report presented by the Commander with a scale model of the Buddha Park. Then, the Senior General and party went to the tomb villa built in Buddha Park where they viewed stone inscriptions bearing Ovada speeches and Dhamma verses of prominent Buddhist monks. 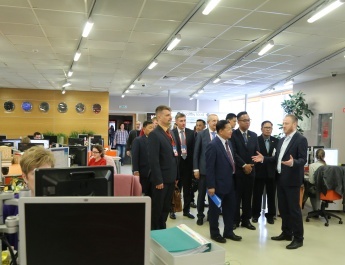 They also viewed Buddha images with various hand postures to be built in the park, the Kaunghmutaw Dam which can store 4 million gallons of water to be constructed in the area of the park and thriving more than 50,000 rose plants in various species on 10 acres of land. Cultivation of windbreaks such as pine, cherry, Thitseint and other trees, flowery plants such as rose and golden bamboo, creation of streams, waterfalls and water fountains are being undertaken on 106 acres of land as a lush and green Buddha Park for environmental conservation and rural development of Loimwe-Pankwe region where Abhaya Mudra Buddha Image will be built. A total of 54 prayer halls are under construction in the park to keep Buddha Images with various types of hand postures made of marble stones. 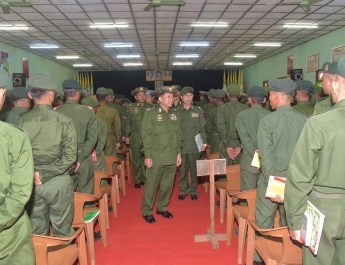 The Senior General and party inspected cultivation and livestock breeding tasks in Kengtung Station.